We understand that being referred to a Specialist can be an anxious time for owners. We have therefore collated some of the questions we frequently get asked in this section, which hopefully will allay some of the concerns you may have prior to or following your appointment at MVS. If you have any questions which are not answered here, please do not hesitate to contact us. Is there accommodation near MVS? What to expect? To find out our exact location please click here. The clinic is open Monday to Friday 7am to 4pm. Consultations will be arranged within these working hours, although most appointments are scheduled for the morning. We are a referral only clinic. Your vet will need to complete an online referral form via our website to start the referral process. Our reception staff will then contact you using the information provided and an appointment can be arranged at a mutually convenient time. During your appointment, we will obtain a detailed history of your pet’s medical background as well as information on the current problem. A thorough clinical examination of your pet will then be performed and any findings and provisional diagnoses will be fully discussed with you at that time. We make every effort to perform investigations and possible surgery during the same visit. 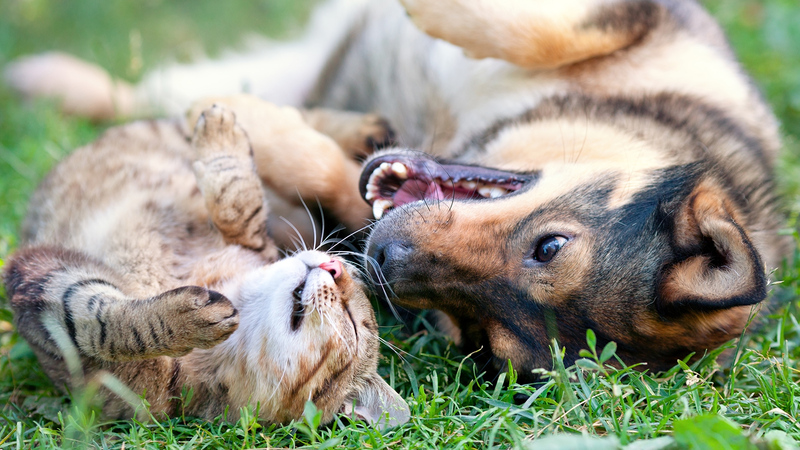 Your pet’s consultation will be on one day with investigations being performed later the same day. Surgery, if considered appropriate, will typically be planned for the following day so your pet can stay with us overnight. After surgery almost all pets will stay overnight for appropriate pain management and monitoring. Surgery, if considered appropriate, will typically be planned for day following your consultation. The exact timing can be discussed during your consultation. Who looks after my pet overnight? What to expect? Your pet will be looked after by one of our interns, a qualified vet undergoing the first part of specialist training. Treatment costs vary widely between different conditions and therefore providing an accurate estimate prior to seeing a patient can be difficult. For up-to-date consultation fees, please contact reception. During your consultation the surgeon will be give you an accurate estimate of treatment costs. We ask that you pay for any treatment at the time you collect your pet unless a direct claim is being processed. Payment can be with cash, credit or debit card. We accept all major credit and debit cards. We do not accept cheques. If a direct claim is to be arranged with your insurance company you will be expected to settle any administration charges and excesses at the time that your pet is admitted to the clinic. Claim forms can be left with us for completion and sending off to the insurance company. Most forms are completed and submitted within 7 days of receiving them. You will need to check with your insurance company about your level of cover, any exclusions applied to the policy and what excess you will need to pay. Once we have provided an estimate during the consultation, you will then be able to assess whether the policy will cover the treatment. Please bring along any relevant insurance documentation, including a policy schedule and a signed claims form. If the policy holder is not present at the time of your appointment, we will not be able to process a direct claim. If you are struggling to complete the claims form our reception staff can help you. There is no charge for processing insurance claims, the only charge applicable will be your excess if that has not already been taken from your referring veterinary practice. We will perform direct claims with most insurance companies as long as the policy is confirmed as being active, there are enough insurance funds to cover the costs and that you have all the required paperwork. The insurance companies often need a complete history from your pet prior to covering a claim so please contact your vet to provide this. Our reception staff will help you as much as possible with this process. This is called a pre-authorisation. The surgeon will make an estimate of the anticipated costs and then contact your insurance company with details of the diagnosis and planned treatment. The insurance company will then give a decision on whether they will cover the fees. Not all insurance companies perform pre-authorisation but if you contact them, they will be able to instruct you. Our reception staff will help you as much as possible with this process. All feedback is welcome, as this allows us to continually improve our service. Please email any comments to info@mvsvets.co.uk with the subject heading ‘feedback’.